Gyume Tantric music has 15th Century origins. 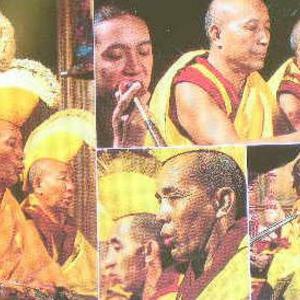 Tibetan Buddhist monks chant in a seeming monotone that is rich in overtones. The chants are usually Buddhist scriptures chanted in Tibetan or Pali.